A sight like this wasn’t uncommon in downtown this spring, when the shores of the Mississippi River and the U.S.S. Kidd were lined with lighting equipment, cranes and film crews. It was all for Greyhound, a World War II film starring Tom Hanks shot in Baton Rouge. Photos by Collin Richie. 2018 is on track to be a big year for the Baton Rouge film industry. Is Hollywood South back? This spring, spotting Tom Hanks became sort of a game among locals. Social media accounts revealed enthusiastic sightings of the megastar at eateries like City Pork, Galatoire’s Bistro and The Velvet Cactus, and shops like Cottonwood Books. But Hanks was likely most frequently spotted on the downtown riverfront at the U.S.S. Kidd, one of the shooting locations for his forthcoming feature film, Greyhound. The $50 million World War II picture tells the story of U.S. Naval Commander Ernest Krause, played by Hanks, as he leads a convoy of Allied vessels across the Atlantic while being hunted by German U-boats. Large parts of the film were also filmed at Celtic Studios on Airline Highway. The Hanks sightings were good fun, but what was more significant about one of Hollywood’s most bankable actors being in town was what it signaled for the local film industry. After a couple of years of declining action and losing projects to other states, Louisiana is back in the game, thanks to progressive revisions to the longstanding film industry tax credit program. 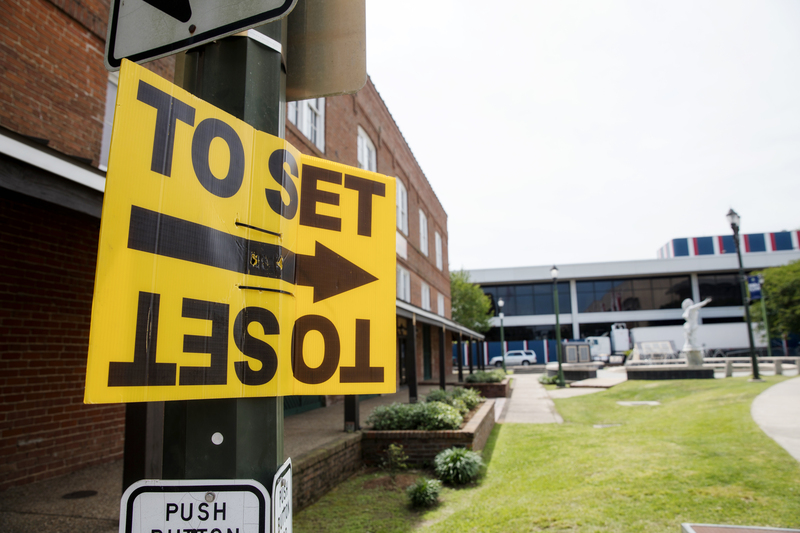 “To set” signs popped up around downtown earlier this year, as productions like Greyhound and Netflix’s The Highwaymen moved into town. Photo by Collin Richie. First established in 2002, Louisiana’s film and media tax credit program was for many years the most generous of its kind in the country, and there is no question it helped the state build a robust film industry. With each passing year after it launched, a growing number of films and television shows said yes to shooting here. To support the industry, training programs in film production became part of the curricula at many statewide community and technical colleges. And private production facilities, including the mammoth Celtic Media Centre, opened their doors. One of the early projects to be filmed in the Capital Region was 2005’s The Dukes of Hazzard. Local residents recall portions of the interstate were shut down as the General Lee, driven by Bo and Luke Duke (played by Seann William Scott and Johnny Knoxville) fled from fictional law enforcement. 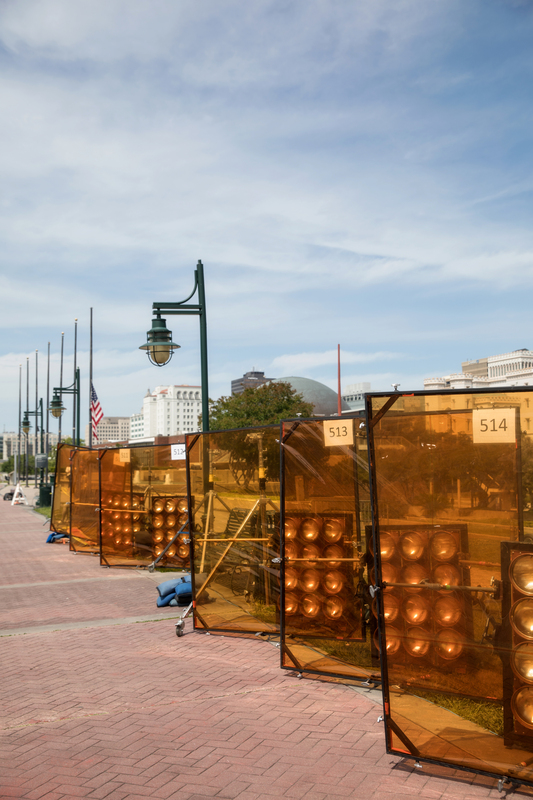 Street closures for filming soon became commonplace, as the state attracted other notable film projects like Battle: Los Angeles, Pitch Perfect, Battleship, Twilight: Breaking Dawn, Beasts of the Southern Wild, 12 Years a Slave, Django Unchained and popular television shows like True Blood and Treme. The level of activity helped Louisiana become the third most popular filmmaking destination behind Los Angeles and New York, earning it the nicknames Hollywood South and Hollywood on the Bayou. But many lawmakers regarded the tax credit program as too generous, especially in a state with chronic budget woes. In 2015, the Louisiana Legislature made abrupt revisions to the tax credit program with a new cap on projects and a lack of clarity about how much the actual tax credits would be. 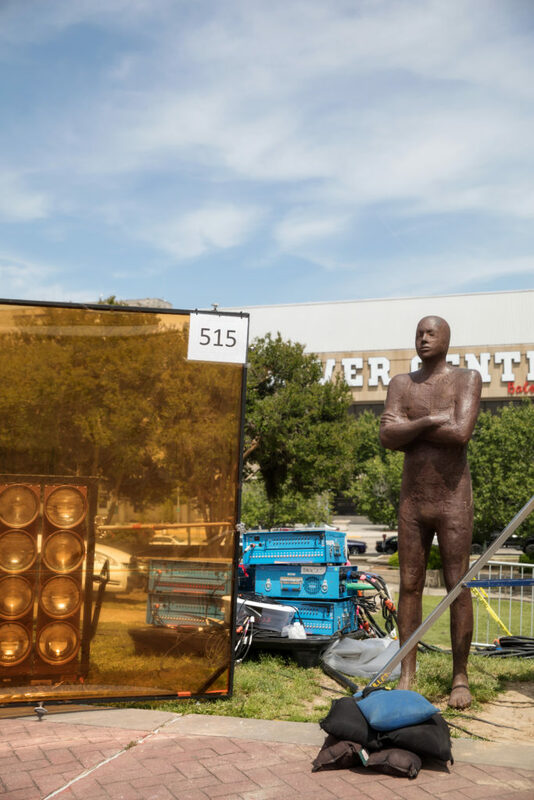 “We’re definitely in a positive transition period with a lot of really cool stuff coming this summer.” – Chris Stelly, executive director of Louisiana Entertainment. Photo by Collin Richie. Many left abruptly for Atlanta. In 2016, Georgia was ranked No. 1 in the world in total feature film production, according to a Film L.A. study. The state is expected to have provided $1.1 billion in subsidies to the film industry from 2016 to 2018, according to The Atlanta-Journal Constitution. Recognizing the need to right the ship, the legislature revised the tax credit program again in 2017, this time with more specificity and new incentives intended to build a healthy film industry and statewide workforce over the long term. The program offers a tax credit up to 40% on qualified spending with a $150 million cap. It’s still very generous, Stelly says, and it has added incentives that can sweeten the pot further. Projects see an additional 10% credit if they work with a Louisiana screenwriter, which the program’s architects hope will both grow local talent and attract new talent to move here. And, projects that film in a location other than the New Orleans metro area get an extra 5% incentive. Things were quiet at Celtic for a while, but Bayham says they are starting to pick up. Producers often call to ask if the facility is outside of the metro New Orleans area. Greyhound was the first project to apply for the 5% incentive for projects shot outside New Orleans. “We have over $7.5 million worth of productions on the books from June to August and counting,” Pryor says. “Baton Rouge has doubled for D.C., Tokyo, L.A., New York, and we can be made up to look like a lot of different things.” – Baton Rouge Film Commission Executive Director Katie Pryor. Photo by Collin Richie. High-profile Baton Rouge projects underway include a Marvel Studios film that will shoot on location this summer. Captain Marvel will star Brie Larson and Samuel L. Jackson. Parts of The Highwaymen, a Netflix feature film starring Kevin Costner and Woody Harrelson, were shot at the Old Governor’s Mansion on North Boulevard in early March. It’s not just big projects that Baton Rouge is attracting; it’s also a healthy number of commercials, infomercials, documentaries and smaller film projects, Pryor says. And some projects that wrapped last year, including the independent biopic, Blaze, about singer-songwriter writer Blaze Foley, are now on the film festival circuit. Blaze was shot in Baton Rouge and premiered at the Sundance Film Festival in January. It also screened at the Louisiana International Film Festival in April. If all goes well, the city is primed to see the action continue, Pryor says. And while it may mean an occasional street closure or hooded parking meter, it’s a boost to the local economy. From Greyhound alone, Baton Rouge saw $29.5 million in spending, Pryor says. The project set up a business office at Celtic Media Centre in December 2017 and ultimately shot over about two months at Celtic and downtown. The production spent an estimated $7.5 million on Louisiana jobs and booked more than 7,000 overnight stays at hotels in the parish, according to Pryor. Glamorous projects like Greyhound grab headlines, but all projects deserve a high degree of service, she says. “If there’s a steady stream of work for people who work in the industry, then they’ll be able to stay in one place.” – Jillian Hall, Baton Rouge programs manager at NOVAC. Photo by Collin Richie. As for locations, Celtic Studios remains the largest studio facility in the Gulf South, with 150,000 square feet of stage space and 100,000 square feet of office space. Moreover, real locations around the region lend themselves to a variety of looks, Pryor says. The Baton Rouge Film Commission keeps a database of possible locations to make scouting faster and easier. Film industry watchers in Louisiana say one of the biggest current challenges is finding enough people in the state to work on the growing number of new film projects. The momentum Louisiana had achieved in developing this workforce slipped between 2015 and 2017 as crews, including grips, lighting technicians, production staff and others, followed projects to different states. The way to attract and keep talent over the longterm is to make sure you have a succession of projects, says Jillian Hall, Baton Rouge programs manager at NOVAC Baton Rouge, which provides education and training in filmmaking. “If there’s a steady stream of work for people who work in the industry, then they’ll be able to stay in one place,” Hall says. And when film crews come into Baton Rouge from out of town—even if they’re coming from nearby New Orleans—they’ll still have to be put up in hotels during longterm projects. This is why it’s so important to build a network of talent in Baton Rouge and not just rely on workers in the region. NOVAC, a longstanding nonprofit in New Orleans, opened an office in Baton Rouge in 2013. A big part of the organization’s work is helping both youth and adults build skills in the film industry through school-based learning and camps for kids, and workforce development workshops, apprenticeships and entry-level job placement for adults. “I wanted to try to work on things I was passionate about.” – Local filmmaker Abe Felix, on why he left his full-time job to focus on a career making movies. Photo by Jordan Hefler. Until recently, NOVAC’s free crash-course film industry workshops had been offered every month on weekends. But the funding, which came from a Community Development Block Grant, ceased after the grant was reallocated for 2016 flood recovery projects. However, Hall says she’s confident the CDBG funding will soon resume, and so will the workshops. In the meantime, NOVAC holds summer camps in partnership with the East Baton Rouge Parish Library for local young people interested in filmmaking. 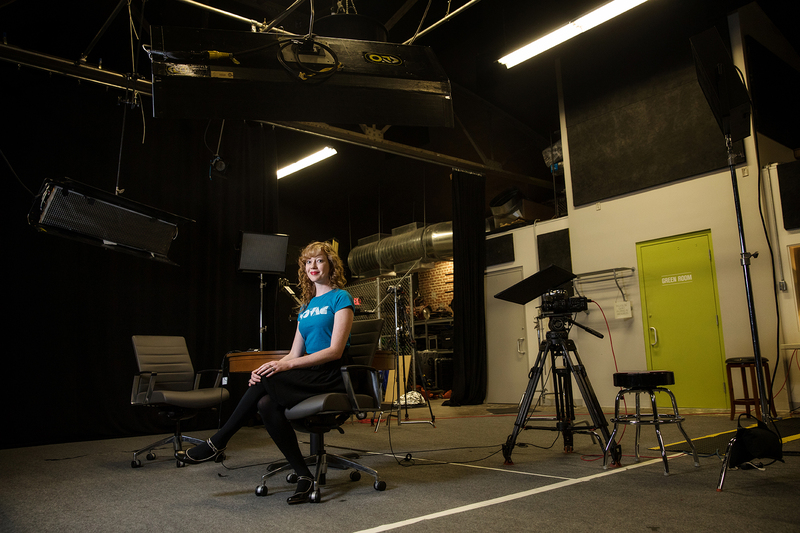 For several years now, Baton Rouge Community College has offered a two-year degree in entertainment technologies, which gives students practical experience in production. 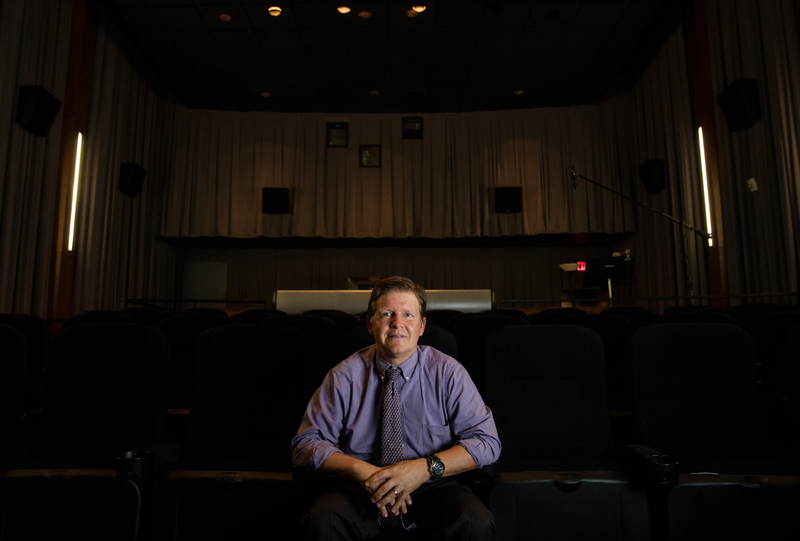 And LSU has expanded its focus on films with two options for undergraduates. Those who want to enter the industry can earn a bachelor’s degree in theater with a concentration in film and television, or a bachelor’s degree in liberal arts with a focus on screen arts (formerly film and media arts). NOVAC also hosts monthly Creative Connect meetups bringing filmmakers and other working artists and creatives together to learn about each other’s work and to inspire collaboration. Meetups are held the last Tuesday of every month at The Parlor in Beauregard Town. These gatherings appeal to an enthusiastic group of local filmmakers who feel bullish about Baton Rouge, especially now that more projects are returning to the area. Independent director and cinematographer Abe Felix is one example. 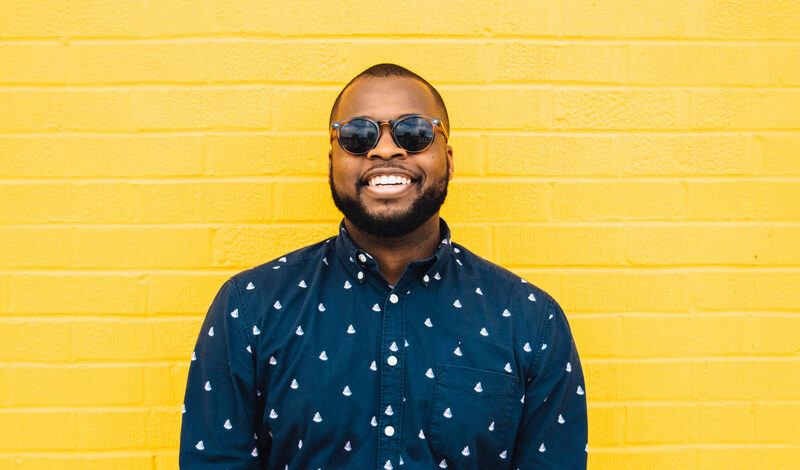 He quit his day job with an advertising firm in 2016 to work full time as a filmmaker. “I really felt like I was growing out of the company where I was, and I wanted to try to work on things I was passionate about,” Felix says. He recently completed two short films, Jane, which was financed by NOVAC, and Desolate After Them. Felix says he was able to find 95% of his artists and production crew from Baton Rouge. Both films will be hitting the short-film festival circuit this year. Ideally, Hall says, a community with a healthy film industry has both outside projects from Hollywood, as well as strong indigenous filmmakers. Indeed, part of the new tax credit revisions include a fund that will support the work of local artists. It will take a few years for it to be available, but its intention is to help regional filmmakers tell their stories. Click here to see which celebs have been sighting in the city over the years. This article was originally published in the June 2018 issue of 225 Magazine.